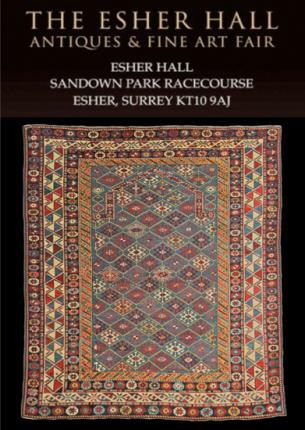 We are pleased to announce we shall be exhibiting at the 2014 Esher Hall Antiques & Fine Art Fair, located at Sandown Park Racecourse. Joining Ingrid Nlson and the Antique Dealers Fair Limited is a great privilege, she has been organising these antique events across the country since 2003. Featuring BADA and LAPADA Members from a wide range of disciplines it has proven popular with dealers and visitors. We shall be exhibiting a wide range of antique carpets, rugs, runners and textiles in various sizes from Persia, Anatolia, Russia and India. Please contact us if you would like to receive an invitation.